No matter how light you pack, sometimes there just isnt enough space to store your gear at camp. 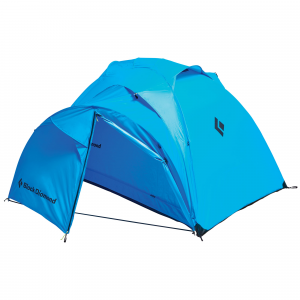 With our easy-to-install Alaknak Vestibule, you can get even more usable space from your Alaknak tent. The spacious interior makes the perfect place to store packs, muddy boots, coolers and other gear, leaving more room inside to stretch out. And when storms threaten, you can move your camp kitchen inside the shelter of the vestibule for cooking in any weather. 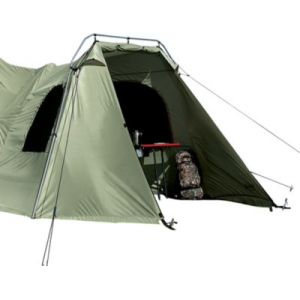 Constructed of the same rugged XTC-II fabric as the tent for incredible durability and puncture resistance while retaining the utmost in waterproof protection. 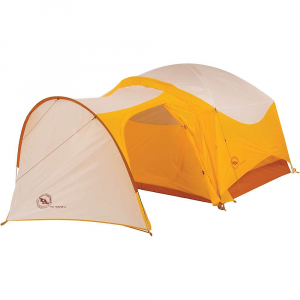 Heavy-duty 0.75 steel frame matches up with the tent for extreme tolerance to high winds and heavy rains. The side of the vestibule is outfitted with a 40 x 40 mesh-backed, zip-close window for added light during the day and privacy when you want it. 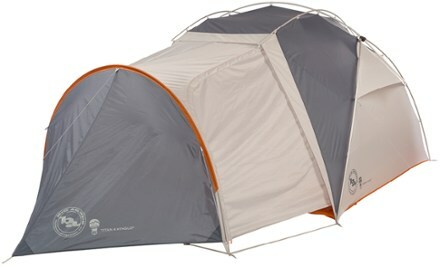 Two ventilation panels in the top keep fresh air circulating through the tent when the outer door is zipped shut. Heavy-duty No. 10 YKK zippers. The 12 x 20 also fits the 13 x 27 Alaknak Tent. Imported. Available: 12 x 12, 12 x 20/13 x 27. Cancer and Reproductive Harm- www.P65Warnings.ca.gov. Size: 12' X 12'. 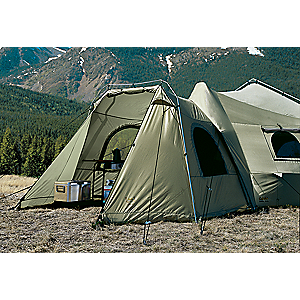 Type: Outfitter Tent Accessories.